Of those eight tracks, three of them are new to the series: Mettet, Silverstone and Circuit de Barcelona – Catalunya. There are also four classes of WRX cars to drive, including FIA World Rallycross Championship Supercars, RX2, RX Super 1600s, and RX Crosskarts, all available at launch. There are three brand new Supercars joining the DiRT Rally franchise in DiRT Rally 2.0, in the GCKompetition World Rallycross team’s Prodrive-built Renault Megane RS RX, the Audi S1 EKS RX quattro, and 2018 FIA World Rallycross Champion Johan Kristofferson’s PSRX Volkswagen Polo R Supercar. The Rallycross content will extend to post-launch DLC too, introducing the Group B Rallycross class. 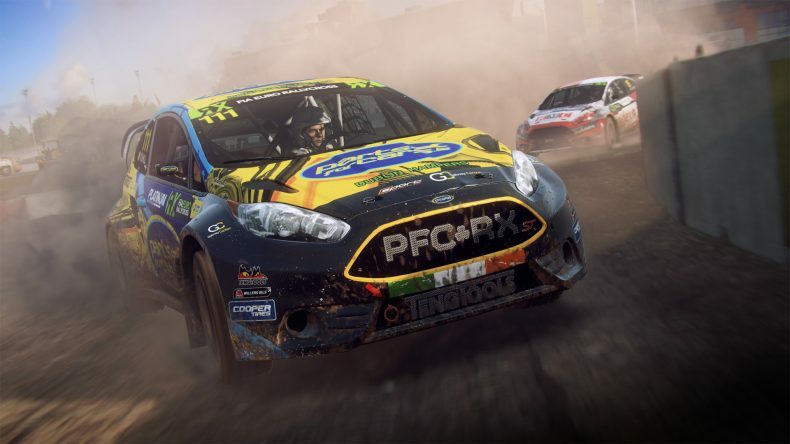 And if you’re all about the multiplayer, you’ll be happy to hear that a new Rallycross Championship mode has been added to DiRT Rally 2.0, allowing you to have a good ol’ tussle with up to seven other players online in multi-car dirt racing. You can check out the FIA World Rallycross content when DiRT Rally 2.0 arrives on PlayStation 4, Xbox One and PC on February 26th.